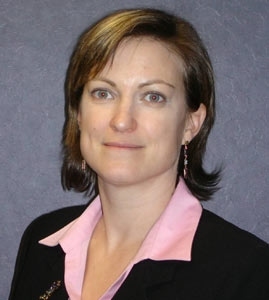 Amy M. Stone, PE is a licensed Professional Engineer registered in the states of Texas and Louisiana with more than 16 years of experience as a structural engineer, mostly in infrastructure design. Ms. Stone has performed all types of highway bridge design, including girder, slab, column, and foundation design. She has balanced the infrastructure design experience with several years as a precast specialty engineer and engineer of record. In addition, she has broadened the base of her experience with time in the construction field, as a third party inspector. She knows that breadth of experience has greatly improved the quality of her engineering design. In addition, time ‘in the field’ gives her a rare, accurate perspective on the constructability of projects. As a project engineer and manager, she has worked with the City of San Antonio on several projects, including a project with a changing scope of work and multiple consultants. She has provided Engineering expertise and training on a second project. On a third, she coordinated with multiple departments of the City of San Antonio as well as the contractor, to overcome construction challenges while still in the design phase. Ms. Stone has managed and designed small and complex projects, performed independent review of calculations for a TxDOT project, performed bridge layout reviews and developed bridge layouts. Ms. Stone is TxDOT pre-certified in Minor Bridge Design and Minor Roadway Design. Ms. Stone is a member and officer of American Society of Civil Engineers, San Antonio Branch, and her firm is SCTRCA certified as an Emerging, Small, Woman-owned Business. Ms. Stone is a strong believer in giving clients what they want: an on-time, on-budget project without any fuss. She has assembled a diverse, flexible team capable of handling a wide variety of projects.